Mark Bippes of Lake Hopatcong, New Jersey, has long been a grateful man. But since battling cancer, gratitude permeates his life in everything that he does. One thing Bippes has done for many years is help people have simple, decent places to live. It is an issue he became passionate about through his friendship with Millard Fuller — a friendship that dates back even before the Fullers launched Habitat for Humanity in 1976 and long before they founded The Fuller Center for Housing. 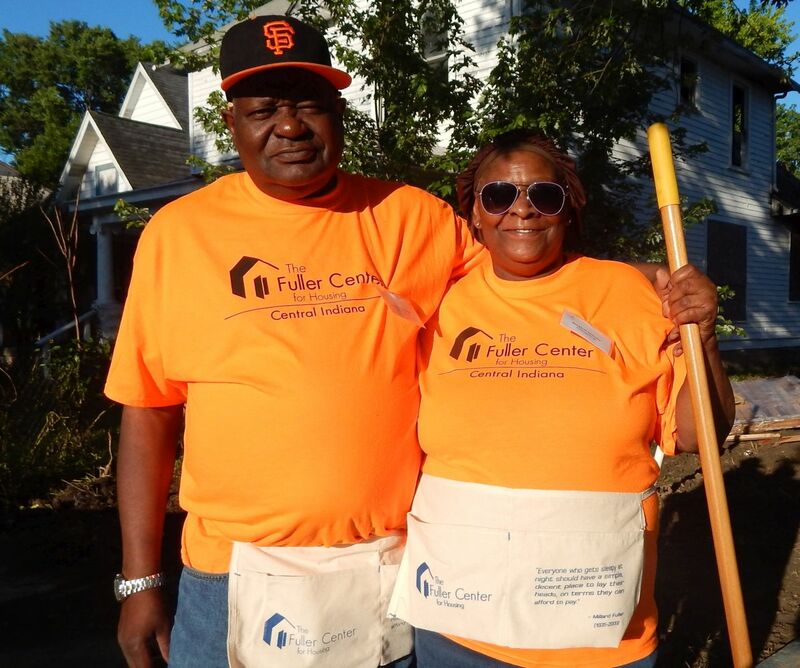 Bippes is especially grateful for the responsibility to serve as a house co-captain at this year’s Millard Fuller Legacy Build in Indianapolis, where he is leading a build on Denney Street with a couple dozen volunteers, including a few regulars from his Morris Habitat for Humanity affiliate. Leading a house build — particularly during a one-week blitz — is an enormously stressful job but one that he relishes. “I’m just trying to put my faith in Jesus into action,” he said. 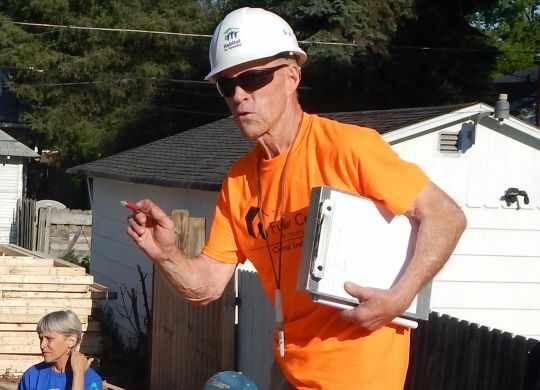 “I’ve been involved with Habitat since before the beginning, and my relationship with Millard Fuller is something that’s been extremely significant in my life. Having a Legacy Build is something that I am so grateful to be a part of. … The way Millard put faith into action, he was just so deeply committed. William and Margaret McKeller were married on May 27 of this year. A couple hundred yards away on North Bradley Avenue, Margaret and William McKeller are feeling doubly blessed. They were just married on May 27, and soon they will have a decent place to live. They look at the rapid progress on their new home with a mix of gratitude and disbelief. Both Margaret and William were born and raised and have lived their entire lives in Indianapolis. They currently live in apartment about two miles from the Legacy Build site. Their adult children worry about their ability to safely get in and out of the apartment due to the knee problems each suffers. Of course, they know a little about blessing others. Margaret works for Dove Recovery House, a women’s shelter that works helps women with dependency problems get clean and back as productive members of society, while William works at a food pantry and does prison ministry work with his pastor. Al Harano is working on his first Fuller Center project. One of those volunteers who has given time and resources to help the McKellers have a good home is Al Harano of San Jose, California. Amid all the chaos and fervor surrounding him during a blitz week, he has maintained an almost constant smile and ease on the house co-captained by husband-and-wife team Mary Lou Bowman and Russ Cubbin. 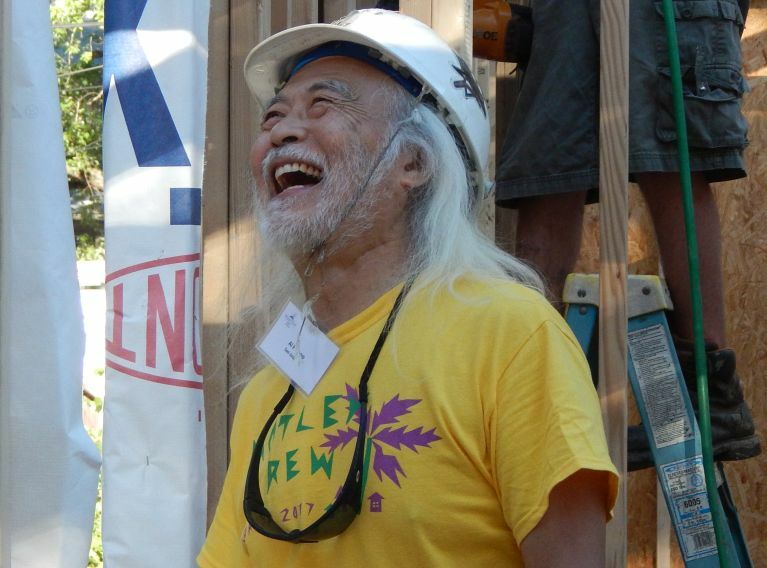 Harano began volunteering on Habitat projects after Hurricane Katrina, but this is his first Fuller Center build. His friend Steve Lumpp (a house co-captain across the street) encouraged him to register for this week’s Legacy Build. He also has been impressed with the youthful contingent of volunteers associated with Nazarene churches in town for a conference.